December | 2010 | Desert Whale Jojoba Co.
1,000+ whales (nearly 1,000 minke whales, 50 humpback whales, and 50 endangered fin whales) are planned to be slaughtered by Japanese whalers this season. 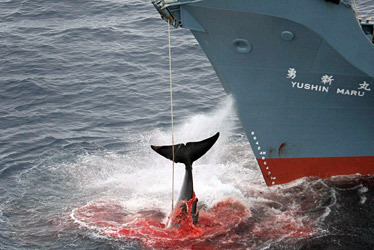 Help Greenpeace fight this travesty, you can help by tweeting or donating. So get the word out! Have you heard of Jojoba Scrubeads™? There are a natural, affordable alternative to polyethylene beads. They are ideal for formulations that require higher mixing temperatures as their melting point is above that of a traditional wax sphere. Available in a variety of sizes (20/40; 40/60; /60/100) and colors (below). Check out our body wash formulation – Scrub-a-dub-dub Body Wash with Jojoba Scrubeads™ ! !